No Amount of Physical, Mental, Emotional, or Energetic Abuse is Acceptable! NO amount of abuse, whether it be physical, mental/emotional, or spiritual/energetic, is acceptable. Any time you are not being (feeling) loved, honored, accepted, and/or appreciated for who you are, it is often a sign that abuse of one kind or another is happening. I’ve been through various forms of abuse myself and thankfully I’ve healed, moved on, and lived to tell the tale. Over the years I’ve also worked with hundreds of clients who were facing similar issues. There is a saying that goes, “Religion is for people who are afraid of going to hell, Spirituality is for people who have already been there.” Many who turn to spirituality, metaphysics, energy healing, alternative/complementary medicine, etc. do it to heal issues that, whether they realize it or not, began because of abuse of one form or another. I’ve written many articles about who you allow into your inner circle. I can’t stress enough how truly important that is for your health and physical / mental / emotional / and spiritual wellbeing. Who and what you allow in says to your subconscious mind, the Universe, and those around you what you desire and deserve. Those are horrendous affirmations and they must stop NOW! Because, Dear One, they are absolute LIES! You are an embodiment of Divinity walking on planet earth! You deserve everything – to be happy, healthy, and successful as you define success! You are a precious gift and you deserve all that you desire. Not sticking up for yourself is also abusive. It’s you abusing yourself, saying you don’t deserve better. No matter how smart, or seemingly successful you are, you often can’t see a way out. Or, as a defense mechanism, you don’t even allow yourself to see or recognize that you are being abused. Abuse of any kind causes damage not only to self esteem, but also to the energy field (aura) around you. When the energy field is damaged – ripped, shredded or torn – all sorts of icky sticky energy can “get in” and then you have even more disharmonious/noxious stuff to deal with. If you find yourself in an abusive situation, call on a friend and ask for support from the Universe (God by whatever name), and get out as fast as possible! Find a place to step back into wholeness that is safe. Most Dancing Dolphin products were designed to assist with putting things back into wholeness, harmony, and alignment energetically. Each one of the sacred healing oils and mists helps to soothe the hurt places, to lift you up energetically so you can see more clearly and heal what needs to be healed and deal with what needs to be dealt with. The perfect energetic to support anyone facing current or past abuse of any kind is the Dancing Dolphin sacred healing oil of Turquoise. It is nurturing, healing, protective, helps to lift you up into a safe space for healing and transformation. And, like all Dancing Dolphin products, contains Dolphin Healing Energies and other powerful energetics that take you and your spiritual journey to a whole new level. Dancing Dolphin Turquoise oil is available here. https://i0.wp.com/www.magnificentu.com/wp-content/uploads/2015/07/AbusersRLosers.png?fit=600%2C400&ssl=1 400 600 Takara https://www.magnificentu.com/wp-content/uploads/2018/09/MagnificentU-4-1-300x70.png Takara2015-08-14 11:16:312017-09-23 22:38:21No Amount of Physical, Mental, Emotional, or Energetic Abuse is Acceptable! EnJOY this video where I share with you the reason you find yourself unhappy. I call this the Honeymoon Principle. The video explains what I mean. I know you will love the things I share in this recording of my interview for the Living Your Vibrant Life Telesummit including the truly life changing “Stepping into Your True Magnificence” meditation exercise, along with many insights and TONS of inspiration for living Your Vibrant Life that I shared. I really enjoy being interviewed for telesummits, webinars, and radio. Much like working with private clients or speaking from a stage with a live audience, there is a “connection” that occurs which allows me to just “get out of the way” and let the information flow through me that is exactly what the individual or particular audience needs to hear in the moment. In this telesummit interview, Tandy Elisala and I discuss some powerful conscious manifestation techniques. I also share insights about ways to turbo boost your meditation practice. I discuss the 4 states of being you want to achieve and the 5 practices I recommend everyone utilize to grow personally and accelerate their spiritual journey. Just click the link to EnJOY! Speaking of JOY, that’s the password. Time to Get Your Joy Back with the Magnificent U FREE Starter Kit! “When you look in the mirror, staring back at you should be joy. Joy is your natural state of being. The way you think people and situations should be is different than they really are. When you can let go of the “shoulds” and just let life unfold without judgment, things get significantly easier and a lot more fun! To more easily embrace each moment and find your joy, get BLISS by Dancing Dolphin! Get the FREE Magnificent U Starter Kit – the 7 Secrets to Dancing Through Life eBook so you can get your JOY back! https://www.magnificentu.com/wp-content/uploads/2018/09/MagnificentU-4-1-300x70.png 0 0 Takara https://www.magnificentu.com/wp-content/uploads/2018/09/MagnificentU-4-1-300x70.png Takara2015-04-23 12:59:092016-12-21 20:48:42Time to Get Your Joy Back with the Magnificent U FREE Starter Kit! Everyone has something that they are extraordinary at. Whether its breathtakingly difficult like the skills on this video or as simple as having immense patience when others do you … you too can be magnificent and lead an extraordinary life! How you start each day is VERY important. I begin my day with at least 20 minutes of meditation followed by some yoga. These activities get my body and mind in a centered and balanced state which spills over into the rest of my day. I see a huge shift in my level of focus and creativity if I allow myself to get stressed, especially if I haven’t meditated for a few days. Then, all I have to do is meditate, and as if someone turned on a faucet, the creative flow begins to pour in once more. Here is a video that will, hopefully, make you smile. Its full of bubbles. Being part faerie, I really love bubbles. I’m only half kidding about being faerie. If you want to learn to meditate and enjoy all the benefits that will bring to you and your life, check out my bestselling book, Peering Through the Veil, the Step by Step Guide to Meditation and Inner Peace. I have a jar of bubbles in the closet but can’t do this. I have early morning stimulating conversations with 2 great friends that start my day off. I also post a morning inspiration on my page that stays with me throughout the day. Amazing video. This is wonderful! I think this is a great way to start the day. Great post and video. 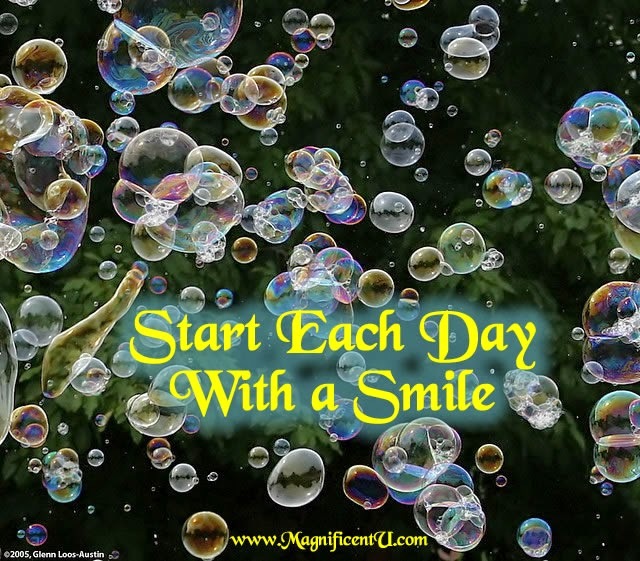 I agree, how we begin our day sets the tone for the rest of the day. Before we just wake up and begin our daily To Do list we need to take time for ourselves and set the tone for how we want our day to go. Stress is one of the hardest things in life to control, meditation is definitely the answer! Loved the bubble show, she is amazing!! Starting your day right can make all the difference in the world in the rest of your day. My favorite way to start my day is to open my Bible and study God’s Word, then take time to pray for God’s direction and guidance as well as lifting others up for God’s special blessings. 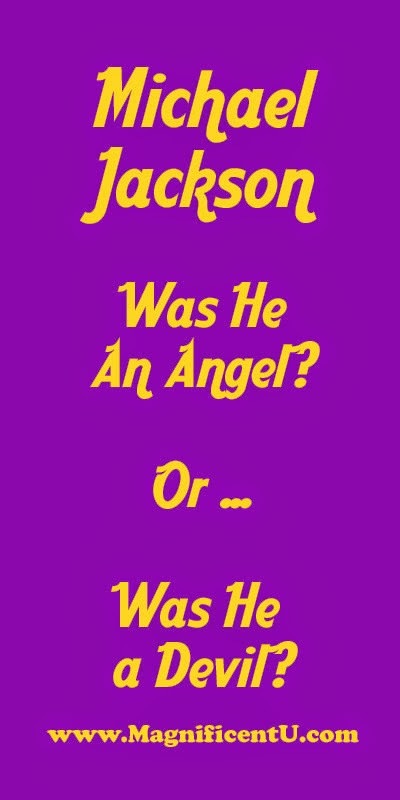 Michael Jackson – Angel or Devil? Someone on Facebook said they really missed Michael Jackson. This, of course, launched a lengthy debate about his character and whether one should love or hate the guy. “He was both. Like all of us, he was neither all good or evil. He had all of it inside and sometimes he showed the brilliance of one and other times the other. He was a very gifted artist trying to slay his inner demons. Anyone as vibrationally sensitive as he was, with the kind of upbringing he had, is pretty much guaranteed to be screwed up. And that is downright tragic. When he was expressing his Divine Gift – he was absolutely brilliant. When someone is expressing their Divine Gift, they are pouring Divine light out into the world. 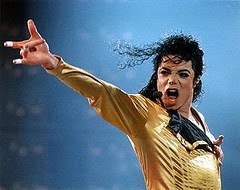 Michael did that with his music. The energy of his music brought joy to the space. It forced us to want to become more just by seeing how he had perfected his own gift. His life was screwed up. He was not perfect. I don’t condone his actions if they were less than noble. If he mistreated anyone, then he needed help for sure. However, that does not make the light he brought forth any less dazzling. I, for one, was an admirer since I was 6 or 7 and someone at a slumber party put on a record by the Jackson 5. I’ve been a lover of dance ever since! I blame Michael – in a good way. I trust that by now his soul is at peace. Heck, he may already be back again learning to do something else completely brilliant. Who knows? P.S. If you would like to get in touch with and express your true gift, get Soul’s Purpose by Dancing Dolphin. https://www.magnificentu.com/wp-content/uploads/2018/09/MagnificentU-4-1-300x70.png 0 0 Takara https://www.magnificentu.com/wp-content/uploads/2018/09/MagnificentU-4-1-300x70.png Takara2015-04-20 17:05:432016-12-21 20:55:49Michael Jackson - Angel or Devil?